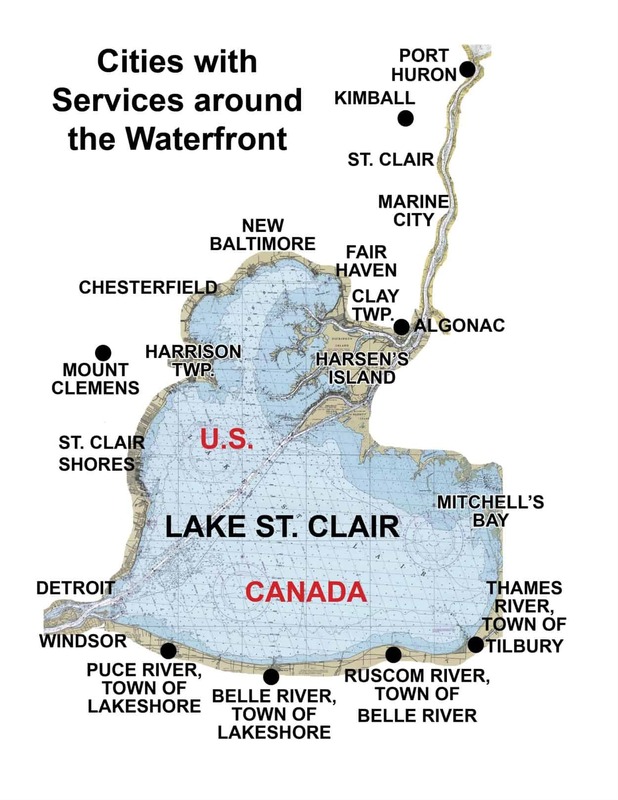 May 28, 2018 – Probably the most traveled Lake St. Clair waterway with a fixed bridge is between the Middle Channel and Little Muscamoot Bay. Yesterday we measured “approximately” a height of 64″ from the water to the underside of this bridge. With the high water, there is less than a 64″ bridge height right now. The Lake St. Clair bridge located on the “Snooks Highway” is just off the Middle Channel, the location of Brown’s Bar. Another bridge we frequently use with a 16′ fishing boat is at Decker’s Landing along Anchor Bay Drive. This bridge requires your sitting on the floor of your boat to get under…. easier to go around behind Decker’s Landing and exit onto the North Channel by the DNR Launch. 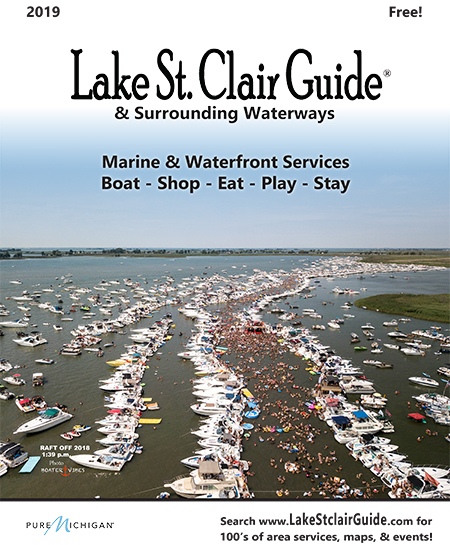 Maps of various Lake St. Clair routes – and shortcuts – can be found in the 2018 Lake St. Clair Guide magazine. Pick up the FREE magazine at over 150 locations or order your copy online for a small postage & handling fee.